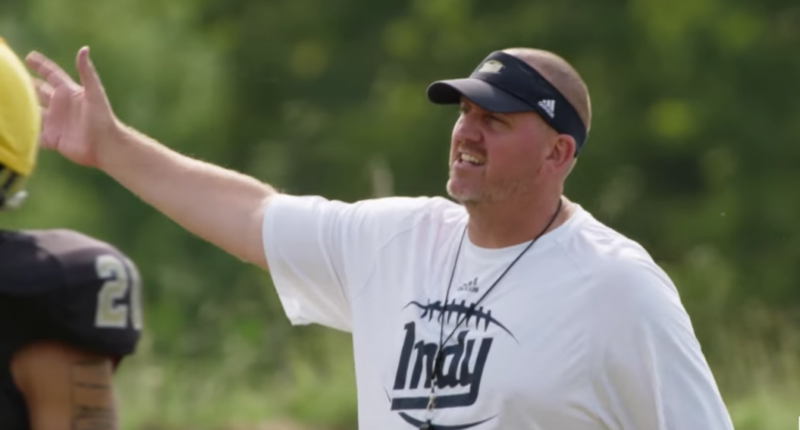 Last Chance U has brought plenty of attention to the Independence Community College Pirates and head coach Jason Brown. They're hoping to use some of that to get a practice field. We’re the smallest community college in Kansas, yet we’re the Jayhawk Conference Football Champions, the Midwest Classic Bowl Champions, and the team featured on Season 3 of Netflix’s Last Chance U! We have no full-sized practice field – help us keep the Pirate Revolution going by supporting us today! Any amount helps – $5, $10, or $100 – all going to help our student-athletes. Be a part of Season 4 – all donors names will be permanently displayed at the entry to the field! Brown said he has yet to see every episode, but he’s certainly felt the impact. The day after the show was released, Brown said he received 4,000 e-mails. He’s already been approached by numerous book publishers and reality television shows. He had to delete Twitter on his phone because it was getting so bogged down from all of the notifications. “It’s crazy, I didn’t think it was this big,” Brown said. “On the way here, we stopped at two stores and people wanted autographs and pictures. I’m just like, ‘Wow, I’m not a rock star. I’m just a coach.’ This is just me being me. Will all that attention lead to Independence getting enough money for a practice field? Maybe, maybe not. But it’s certainly notable to see the school embrace its time in the spotlight this way. And they might as well try and capitalize on it while they have the chance.